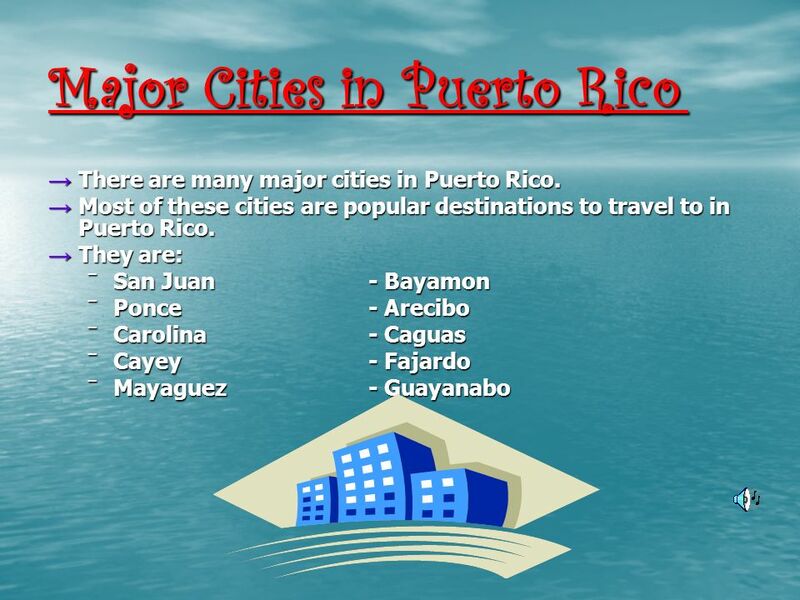 Information About Puerto Rico Location → Puerto Rico is located between the Caribbean Sea and the North Atlantic Ocean. And it is just east of the Dominican. 3 Location → Puerto Rico is located between the Caribbean Sea and the North Atlantic Ocean. And it is just east of the Dominican Republic. → It is about a 1,000 miles southeast of Miami. 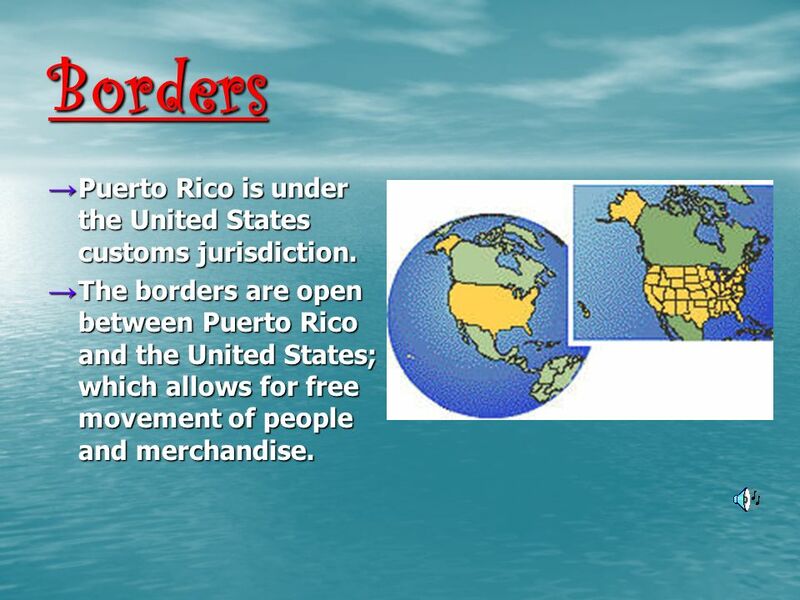 4 Borders → Puerto Rico is under the United States customs jurisdiction. → The borders are open between Puerto Rico and the United States; which allows for free movement of people and merchandise. 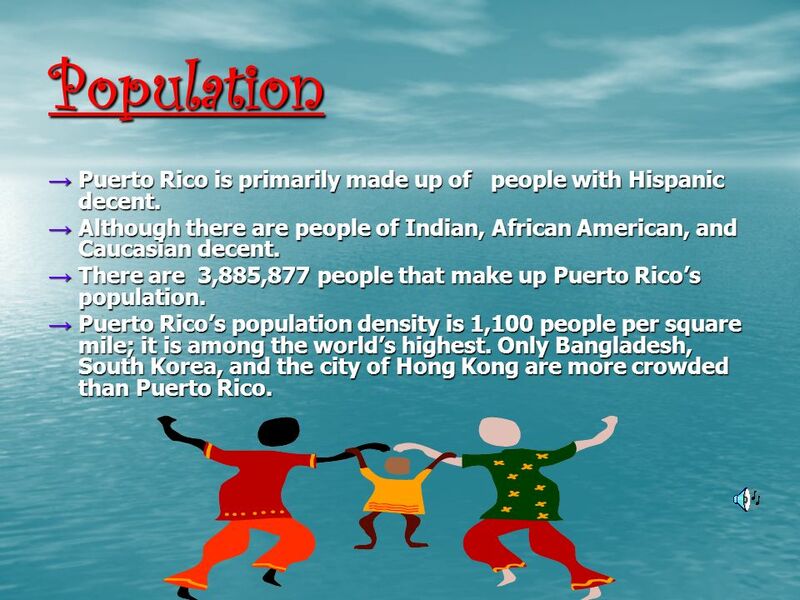 6 Population → Puerto Rico is primarily made up of people with Hispanic decent. → Although there are people of Indian, African American, and Caucasian decent. → There are 3,885,877 people that make up Puerto Rico’s population. → Puerto Rico’s population density is 1,100 people per square mile; it is among the world’s highest. Only Bangladesh, South Korea, and the city of Hong Kong are more crowded than Puerto Rico. 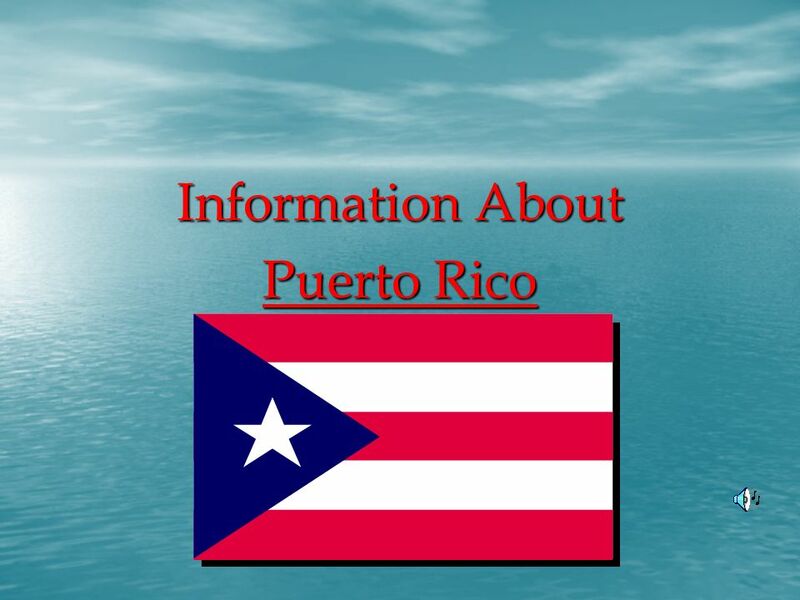 Download ppt "Information About Puerto Rico Location → Puerto Rico is located between the Caribbean Sea and the North Atlantic Ocean. And it is just east of the Dominican." Equivalents DivideMultiply Add & Subtract Compare & Order $500 $400 $300 $200 $100. June 12 th – 13 th, 2012 After Sales Service Market Visit 2012 BREITLING C a r i b b e a n Puerto Rico. Madden The Bahamas The Greater Antilles The Lesser Antilles The Netherlands Antilles The Caribbean. Puerto Rico By Javan Jorns. San juan  San juan is the capital of Puerto Rico.  That is their flag.  Its population is 442,447. Puerto Rico By: Tori Brown. 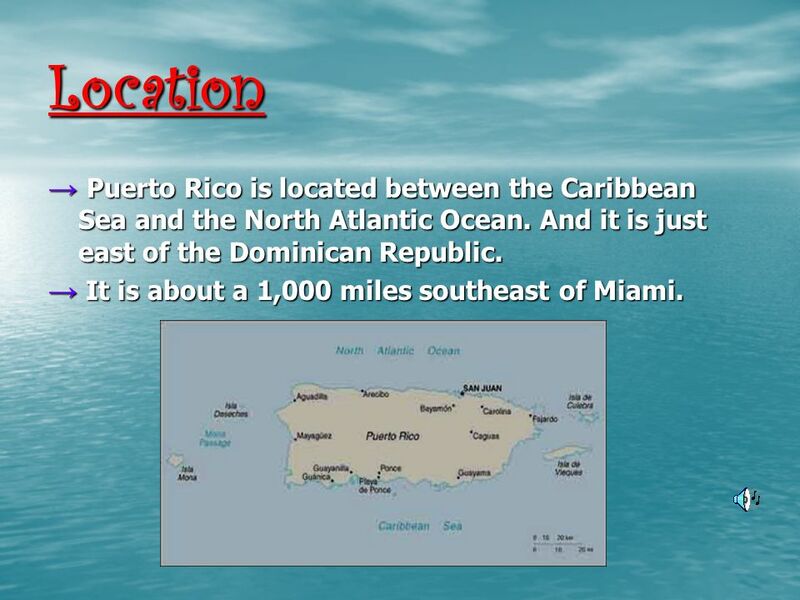 Geography/Location Puerto Rico is located in the Caribbean. It is found between the bulk of Hispaniola (shared by Dominican. Puerto Rico By: Deairrah Gilmore. La Comida De Puerto Rico Mariscos: mix with shrimp and seashells Mariscos: mix with shrimp and seashells Cerdo: a pig. Puerto Rico Researched via: Student Name: Kevon Butts Date: May 13, 2010. Puerto Rico Kylie Cooper and Alli Bonham 4 th hour 12/3/14. The West Indies Pages Overview The West Indies has more than 30 countries with a total regional population of 33 million scattered over 2,000. Puerto Rico Researched via: Jenae’ Jenkins May 13, 2010.